K.M. Cherry was a mathematics and science teacher and basketball coach at Tomahawk from 1933 to 1947. K.M. was noted for accomplishing several coaching feats. He accumulated 104 victories while Tomahawk High School was a part of the Wisconsin Valley Conference. K.M. holds the present record for most sectional finals and is tied for most state appearances. Sectional final games came in the 1933-34, 1936-37, and 1937-38 season with the season ending at State. His 1941-42 squad finished second in the Valley with a 9-3 conference and 15-4 overall record. K.M. was also noted for his ability to motivate his teams to realize they could and would compete successfully. He was tough on training and team rules but always fair. K.M. was there for any player in difficult times. K.M. was quite active in the Tomahawk community. He served as alderman for Tomahawk City Council and his construction company designed and built or remodeled over 50 homes and stores in the Tomahawk area from 1938-47. In 1947, he became the Superintendent of Construction and Maintenance for the Tomahawk National Container Mill. As Mill Manager, K.M. was noted for his support of such projects as the construction of Crystal Lake Beach and the tennis court on the Washington School property. 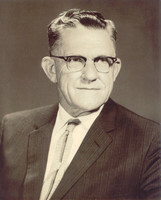 He went on to manage numerous mills for Owens-Illinois and retired in 1968 as Vice President, Paper Mills Operations, Forest Products Divisions, Toledo, Ohio.